US Investing Big on Port Improvements - American Supply Co. In its just-released 2016-2020 Port Planned Infrastructure Investment Survey, the American Association of Port Authorities (AAPA) asked its U.S. member ports how much they and their private-sector partners plan to spend on port-related freight and passenger infrastructure during the next five years. 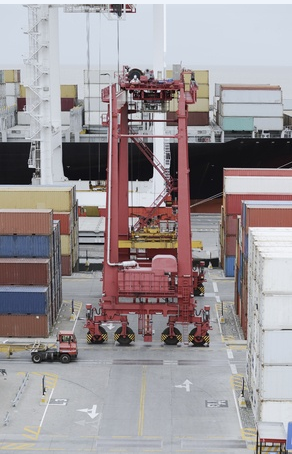 The AAPA then calculated what it believes is the “best-case” scenario for investments on U.S. ports by the federal government, including their land- and water-side connections, through 2020. The two figures are extremely far apart, and not in a good way. While U.S. ports and their private-sector partners expect to invest a whopping $154.8 billion, the best-guess federal government figure sits right now at $24.825 billion. AAPA President and CEO Kurt Nagle said it’s critical that the federal government uphold its end of the partnership. The Bureau of Economic Analysis’ formulas show that investing nearly $155 billion in capital projects at U.S. ports would create about 1.6 million direct, indirect and induced domestic jobs, accounting for approximately 3.3 billion person-hours of work during the period of the investment, according to economist John C. Martin, Ph.D., president of Lancaster, Pennsylvania-based Martin Associates. The AAPA believes the federal government has historically underinvested in the nation’s goods movement system. Port shipping is a large part of our and our clients’ businesses at American Supply Co., and we’re excited to see investments being made – including the current expansion work underway here at the Port of Philadelphia – that we hope that these infrastructure improvements create a more effective, modern and efficient system. If your company is in need of help with warehousing and distribution services, we can help. With two Philadelphia-area locations and nearly 200,000-square-feet of space, we can help your business – large or small. To learn more, call us today at 215-739-2627.